The Tweens are up first. Size wise I need to cover ages 9-13. The sizes come in even numbers and I’m aging up where necessary. It’s a nice pattern. Princess seams into godets making a full circle. Bodice facing to keep the neck & arms neat. Needless to say, when tracing off multiple sizes at once it is important to mark the pieces clearly. I kept a separate envelope for each size and cut them out one at a time. I did all the tracing and made two dresses on the first day. 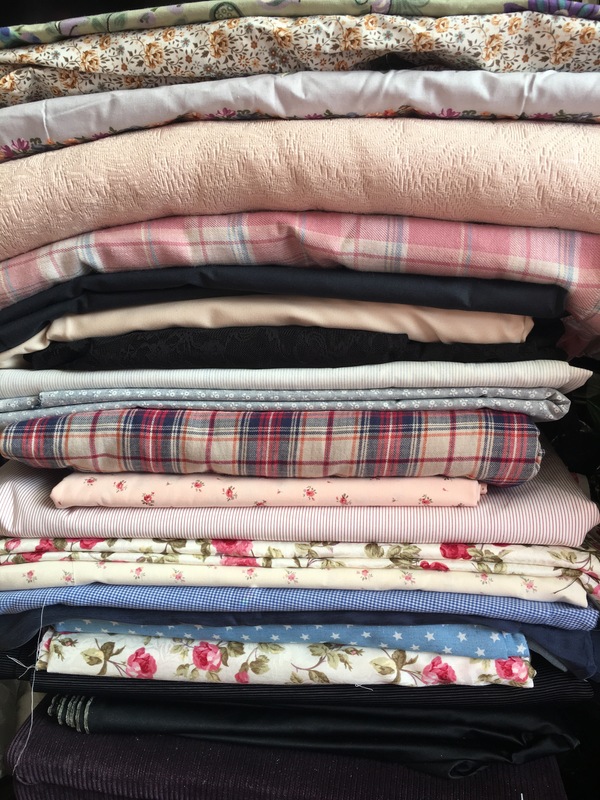 Rather than working like a factory worker and doing all the same bits at once, I kept each dress on a different part of the sofa and swapped once I’d reached a certain stage. Sew the front to the front-sides. Sew in 1 side of each godet, then the other side of each godet. Snip the allowance above the godet & overlock 1 side. Overlock the other side all the way up to the shoulder seam. 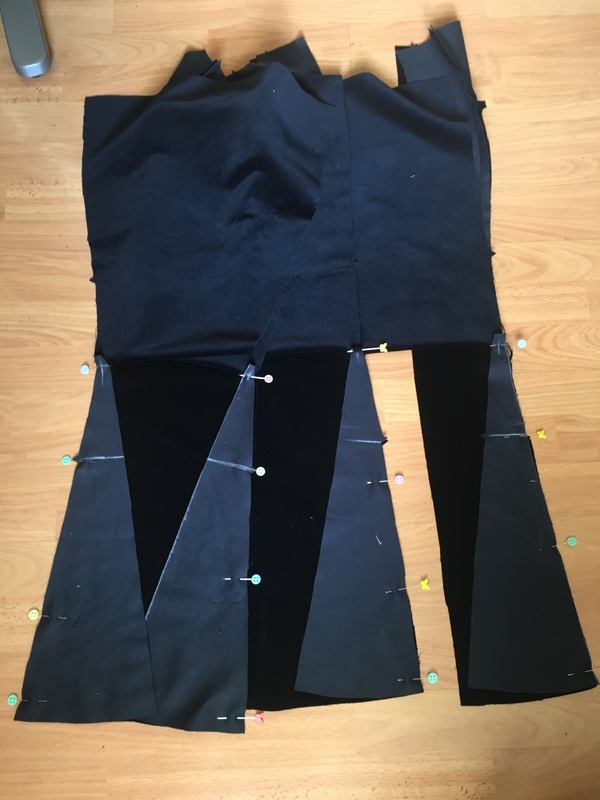 Do the same for the back pieces then join the shoulder seams. Make the facing. Overlock the exposed seams. Sew the facing to the neck edge, clip then understitch. Re pin then sew & clip the facings at the arm seams. 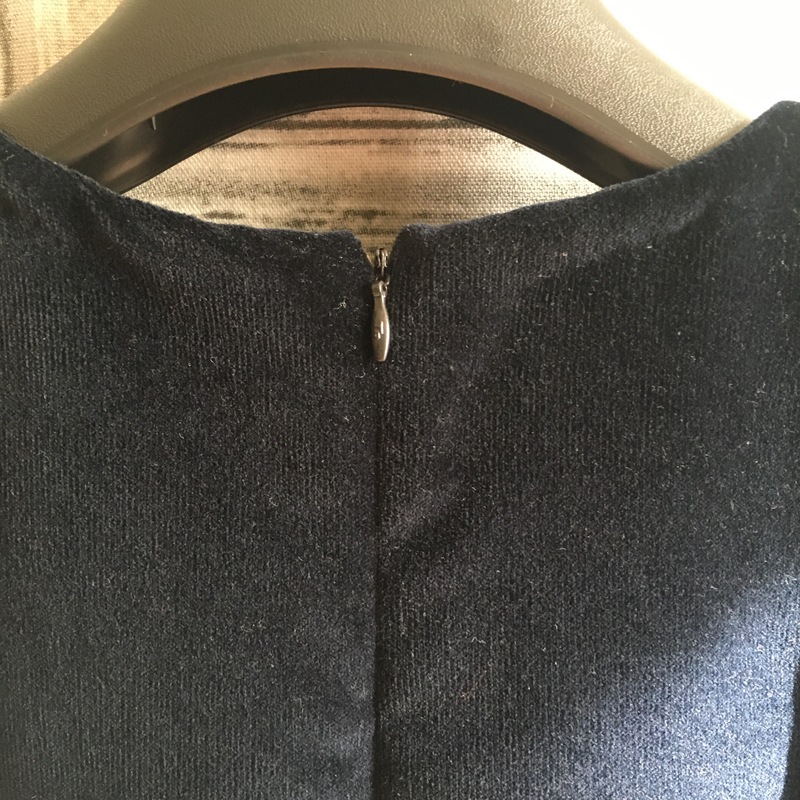 Turn by pulling the back through the shoulder seam (I love doing bits like that, they always seem like magic, like a burrito-yoke). Press the back allowances and sew in an invisible zip (the pattern has a lapped zip, but my invisible zips come out neater). Turn the facings over & sew to the zip tape on the inside. Sew up the side seams. Overlock them and stitch in the ditch to hold the facing down under the armpit. Hem hem hem hem hem. I ran out of bias binding really quickly (although that was the easiest method). Tried gathering stitch on overlocker… sort of worked (will experiment more when not up against the clock). The first one had sleeves… I decided pretty quickly that I wasn’t doing that again. 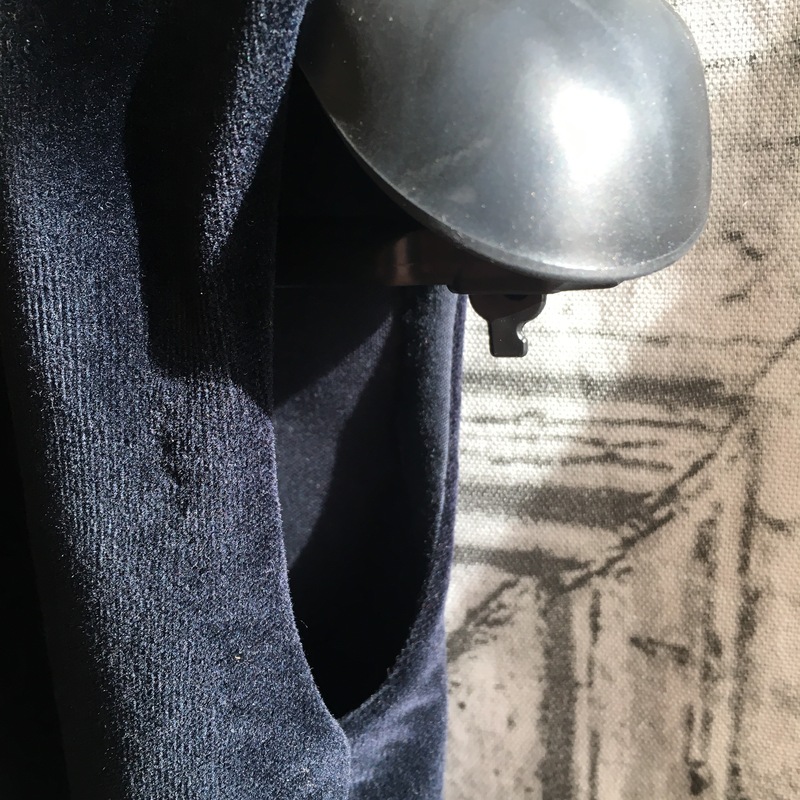 They came out neatly enough, but I didn’t much like pinning the two opposing curves of the sleeve and the armhole/facing… not with 4 more to go. With the velvet one I made a mistake, I got carried away and put the zip in before the facing and then couldn’t turn it through. It was my best invisible zip and I was loath to unpick it, so I snipped back the facings, double turned them and hand stitched it down like bias binding. It was a labour of love, but with a hand stitched hem too, it’s lovely to see no stitching from the outside of the dress. The pattern also calls for either a mock-ribbon-lattice down the front or millions of buttons down the back ‘just for show’. I, of course, chose to do neither. Otherwise I’m sure I would have never reached my 5 dresses in 2 days deadline. Apart from the velvet one, they’re all a bit summery. 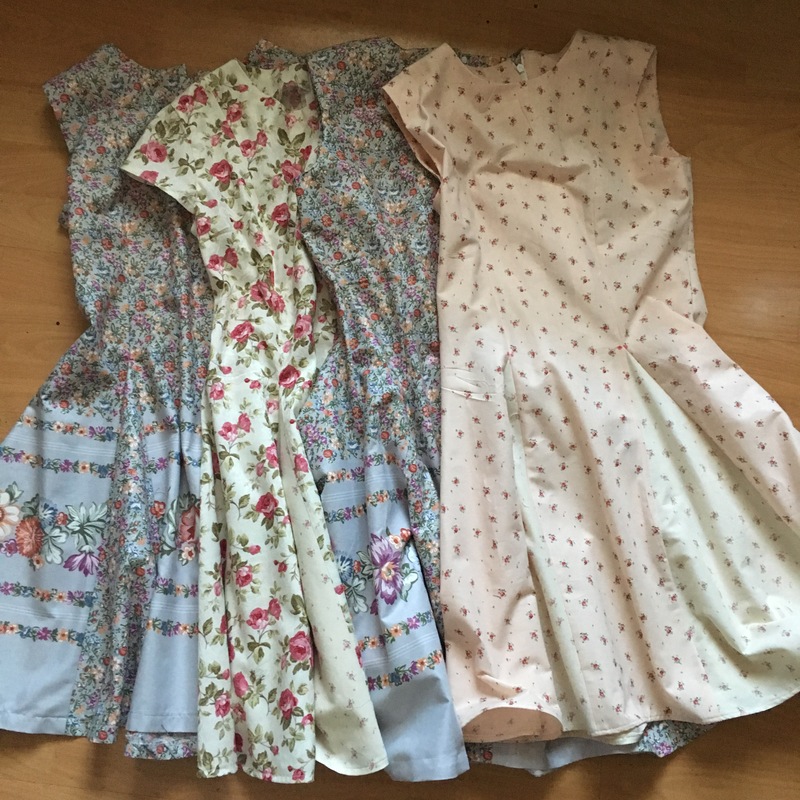 Summer-dresses-for-Christmas… I’ll make it a theme. 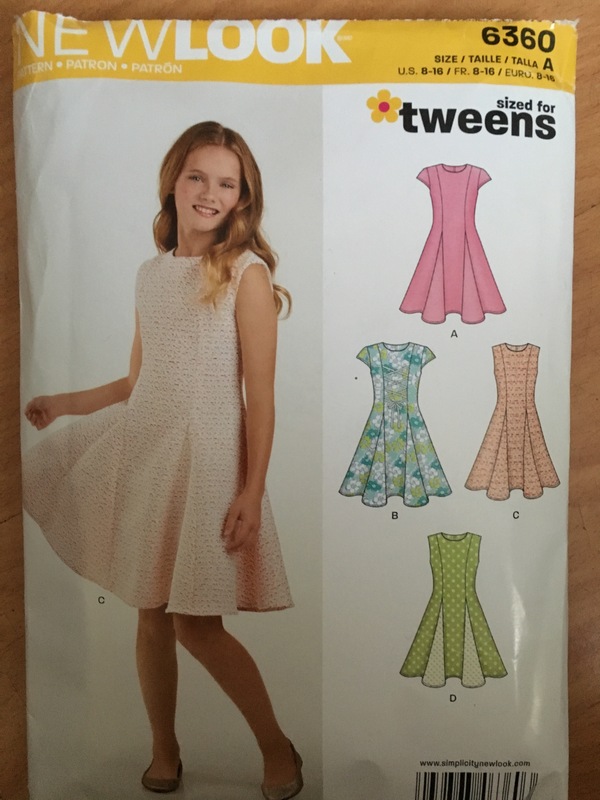 I’ve a new pattern for the younger girls. Only 4 of those to make. In the meantime, I never want to see another dress! Have you started your Christmas sewing yet? How’s it going? Do all the cutting. Do all the marking. Do all the sewing! 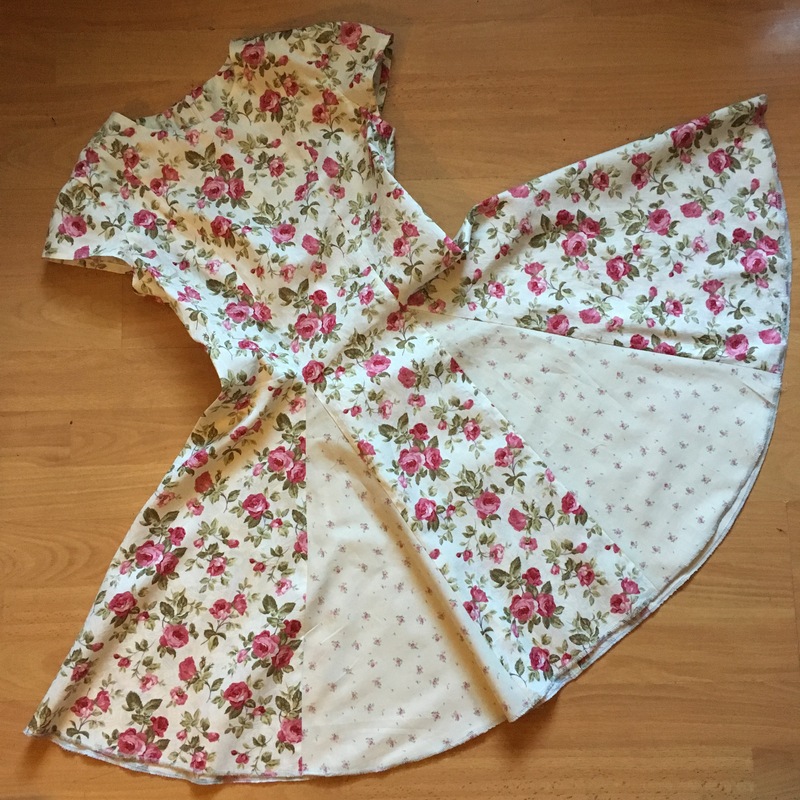 Practise gathering/ hemming on overlocker. Don’t change a good plan without thinking it through. Remember to eat/ drink/ wash on big sewing days. Wow. What a production and what a great fabric collection. The finished dresses are looking so sweet. Love to see the finished versions of the 6205 pattern. Haha! … well there’s still time… just wait for parts 2 & 3 if you want to feel really guilty! Lol!